NSVets has a large beef client base ranging from significant stud and commercial herds down to lifestyle blocks with a pet cow or two. 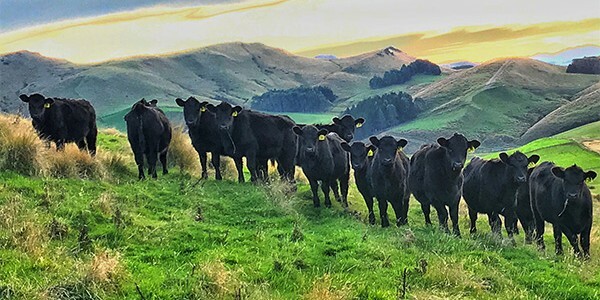 We provide all the routine services and advice you can expect to receive from a rural veterinary practice and have vets with special interests in beef genetics and production. With state of the art ultrasound scanners, we can provide accurate pregnancy diagnosis with conception date information if required. Keeping on top of all the animal health treatments needed to maximise your herd's productivity and profitability can be tricky. We have vets that can help break this down for you and produce a tailor-made calendar detailing the timing and benefits of individual treatments for your farm. This can then be put in a poster format to help remind you of when treatments are due. Nutrition and feeding of your stock is the main driver of animal performance. Getting this right can be difficult and is easily complicated by weather extremes and varying stock classes. We have vets with extra training in feed budgeting that are happy to help with this process and can even put together a feed budget for you. We currently have one discussion group made up of sheep and beef farmers from throughout the district and facilitated by Andrew. This group meets 10 times per year and covers a range of topics from crop establishment and spray selection to lamb finishing and mineral supplementation. Guest experts are often invited along to ensure topics are answered thoroughly and accurately.